Green Event Services is your award winning service provider for responsible event waste management. We provide stress-free event waste management solutions, specialized waste collection equipment, and friendly well-informed staff. Our helpful signage educates and motivates event attendees to participate in our mission towards zero waste. We make event organizers jobs easier and less stressful. 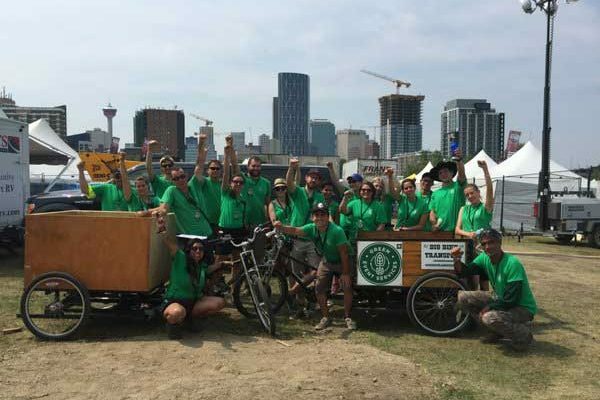 Through events, we also make our communities and the planet a cleaner, healthier, and less wasteful place to live! Our mission is to champion working towards zero waste events. Our vision is to support zero waste communities. We are founded on the simple goal of creating a better tomorrow. Through our actions we enable social change. By showcasing our event services as solutions to larger environmental challenges we hope to inspire a new generation of responsible community leaders to think globally and act locally. We do this to support a clean and sustainable future.